Students are often tuned out or surfing social media when sitting in a class listening to a 45-minute lecture. With interactive digital solutions, such as the Echo360 Active Learning Platform, it's easy for instructors to flip the classroom for increased focus and engagement. When the classroom is flipped, students spend the majority of their class time interacting with the material, instructor, and each other. Similarly, when students are not spending classroom time solely listening to a lecture, they have more time to participate in group work and other learning activities. D. Frank Smith explains in an article on EdTech Magazine that flipped classrooms create more peer learning opportunities. Students come to class prepped with the knowledge they need, so that they can spend class time expanding on and exploring that knowledge with one another. Both instructors and students benefit from the flipped classroom. 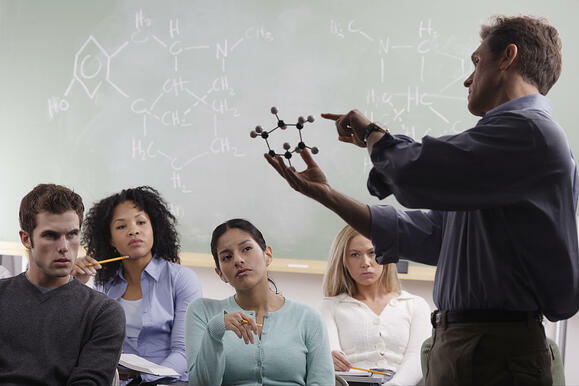 Instructors are able to share materials with their colleagues to make the most of flipped classroom lectures, and students gain a better learning experience through learning activities and more engaging classroom time. Students are also excited because they have some of a say in their own learning, as online lessons offer more flexibility for them to review content as many times as needed to master concepts. Flipped classrooms work, and there are many studies to support this. Education World performed several case studies that showed increased learning gains when students entered flipped classroom programs. Flipping the classroom does not have to be difficult. Echo360 enables instructors to record, edit, and assign videos in a short period of time, then track student usage of those videos, creating the ideal setup for a flipped classroom. With built-in accountability and communication, Echo360 makes it easy for the modern classroom instructor to effectively flip the classroom.